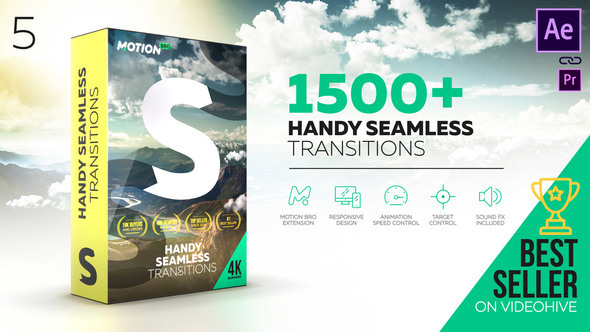 A new version is available – Handy Seamless Transitions v5! • Release of the new version of the extension – Motion Bro V2. Parallax Pan, Scale Stretch, Diamond Lens Zoom, Kaleidoscope, Pan Shake, Zoom Shake, Spin Shake and more.